A simple product by MSR creates safe drinking water in huge quantities. It could save thousands of lives if put into the right hands. You can help make this happen. The Community Chlorine Maker is no bigger than a can of soup. But just one of these electric devices can produce enough clean drinking water for 200 people a day for up to five years. Chlorine is one of the developed world’s preferred methods of making safe municipal drinking water. But poor areas often lack the resources to purchase and implement chlorine purification systems. So MSR launched an Indiegogo campaign this month to get them in the field. 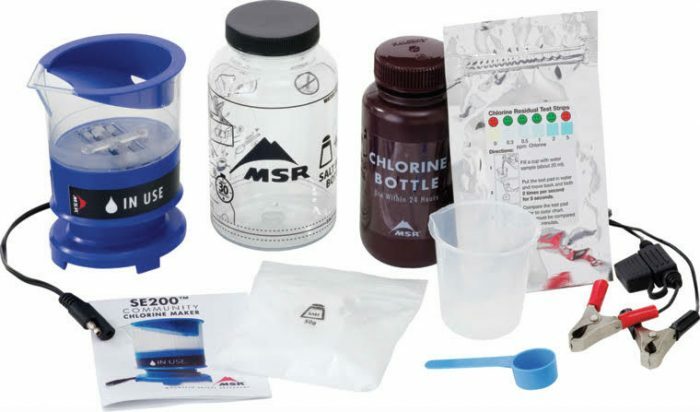 Campers know the brand MSR for its water filters and cooking gear. With this campaign, it tries something new. The Seattle-based brand touts the Community Chlorine Maker as “the most important piece of gear we’ve ever made.” It can ostensibly bring safe drinking water to communities too impoverished, or facing too much civil unrest, to implement other methods. That’s about 1.8 billion people worldwide. With just salt, water, and a 12-volt battery, communities can make chlorine without large treatment plants. MSR promises its $240 device will produce enough chlorine in five minutes to treat almost 53 gallons of water. The money raised through the Indiegogo campaign will help MSR make the units. It will also help non-profits World Vision and Operation Blessing International distribute the Community Chlorine Maker around the world. The campaign’s goal is to crank out 2,500 units by the end of 2017, bringing clean water to half a million people. Contaminated water sources can cause diarrhea, typhoid, and hepatitis A among other ills. In developing countries, diarrhea is one of the leading causes of death in children under five, with estimates ranging from 360,000 to 800,000 child deaths every year from the malady. The need for clean water is especially pressing during and after emergency situations. Pilot initiatives with the chlorine maker have already proven effective for areas with displaced refugees and disaster zones around Haiti in the wake of hurricane Matthew. 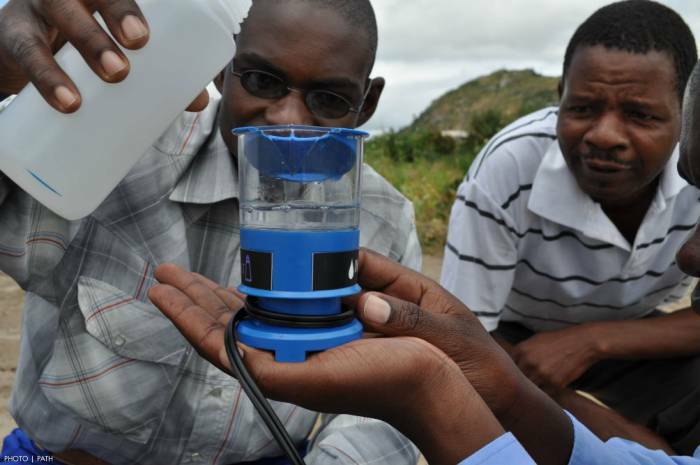 Check out the Community Chlorine Maker Indiegogo campaign to contribute. Reward buy-ins range from MSR discounts to a trip to Kenya to see the products in action. Any donation amount is welcome and will help provide clean water where it is needed most.